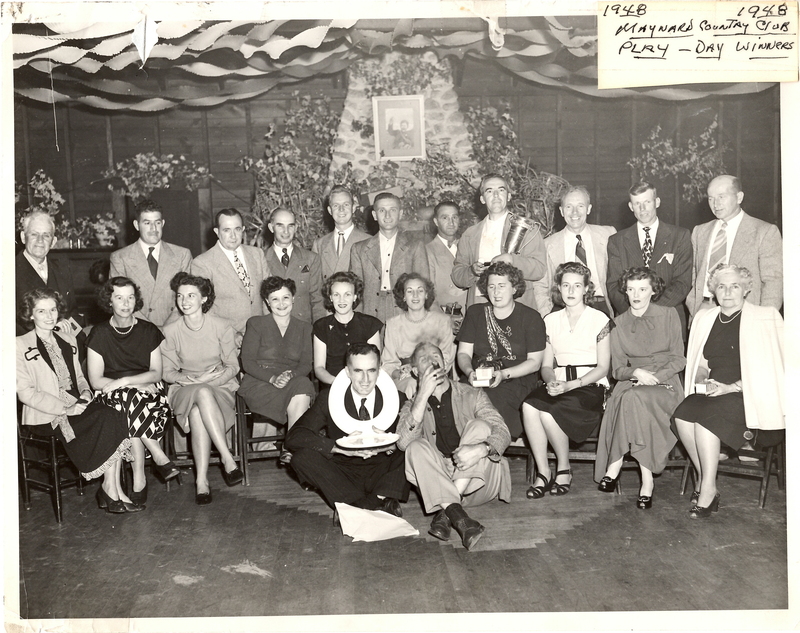 A black and white photo of the Maynard Country Club Play Day winners from 1948. Alex Reed, ___, ___, Joe Doudrant, Bernie Tobin, Woodie Primano, Toni Columbo, ___, Jack johnson, Bob Tobin, Hans Watu. Betty Reed, Helen Connors, Gladys Watu, Julia Kane, Mrs. Tom Duggan, ___ Primano, Fillie Croft, Mrs. (M?K? )elly, Loretta Tobin, Lena Downey. 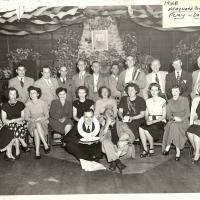 “Maynard Country Club Play Day Winners - 1948,” Maynard Historical Society Archives, accessed April 24, 2019, http://collection.maynardhistory.org/items/show/6603.